Avenue Web Media uses the award winning Drupal CMS as its main development platform. Our team specializes in custom Drupal themes for professional websites. At Avenue Web Media you’ll find a small team of highly skilled, dedicated and friendly individuals ready to take your project to heart and bring it to the next level. You’ll talk directly to a technical project manager who will help you assess the needs of your project and ensure that the resulting theme delivers exactly what your website needs. 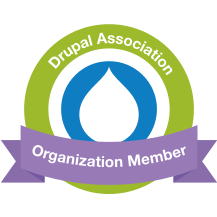 We are experts in all things Web and all things Drupal. Tell us about your special needs and concerns and we’ll make sure the resulting works are exactly right for your site. The sky is the limit. There is no such a thing as code quality dependant on price. Professional developers giving your project a personalized attention produce the best code every time. Our xHTML and CSS are standards-compliant while also supporting all the major browsers. Our team tests for Firefox, Internet Explorer 7 and 8, Google Chrome, Opera and Safari. Thanks to our intimate understanding of search engine behavior and ranking factors, our Drupal theme code is built to maximize search-engine friendliness. We can normally reproduce the design exactly right, almost pixel for pixel. In addition, we often adjust the design while retaining the artistic integrity, to allow the theme to expand or contract gracefully where the CMS calls for dynamic content areas. In other words, we faithfully reproduce your original design with all of its artistic details, while we also adapt it seamlessly to the requirements of the CMS. More than delivering the theme files, we make sure to deliver a fully working solution that meets all of your needs for the project. Our team will install the theme files directly on your development server to guarantee that everything fits neatly in place and your site looks exactly as expected. Why Avenue Web Media for PSD to Drupal Themes? At Avenue Web Media your PSD to Theme project gets personalized attention and only the most skilled and experienced hands ever touch your theme code. No two websites are built the same, and no two themes have the same requirements. As a full service Drupal development company, we have what it takes to bring any project of any size to successful completion. During the course of any project with us, we think of you, the client, as a partner in Drupal success. We take your concerns as our concerns and we explore solutions with the same dedication and integrity we apply to our own projects. THEME INSTALLATION is a key component of a successful Drupal theme implementation. This is the stage where all the pieces are expected to come together and it becomes evident if something is missing. Our experts install the Drupal theme directly on your server for a final assessment and guarantee that our work is compatible with your Drupal installation. At this point we can also help you identify undiscovered theme-related areas of concern that should be addresses before releasing the site. You will not get any part of this proactive and dedicated service with a low-cost outsource factory. When you compare everything that we offer standard with our PSD to Drupal Theme service, Avenue Web Media not only offers the highest quality, we are by far the most cost-effective choice. Our team has plenty of experience developing mobile-first, multi-platform themes that can operate seamlessly on all devices, including all desktop sizes, as well as mobile platforms such as iPhone, iPad, Android, Blackberry and the gamut of tablets. The starting cost for the graphic design or PSD to Drupal theme conversion is $950. Cost and timeframe will vary depending on the amount of features and extended modules that you'll require for your project. Contact us for a free assessment of your project needs.